Once again the collaboration of art historian Binafsha Nodir and artist Bobur Ismailov produced an extraordinary exhibition in Tashkent. 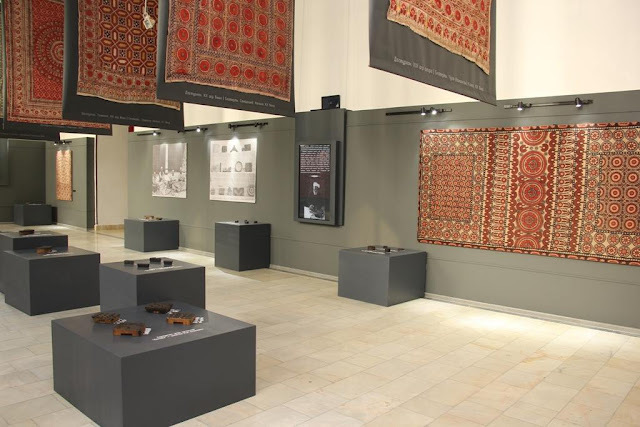 Organized with the assistance of the Islam Karimov Foundation, it was the first time that an exhibition dedicated to woodblock printing was held in the capital. 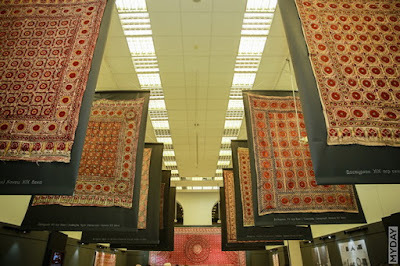 Stunning pieces procured directly from artisans or lent from private collections, graced the exhibition, as well as samples of woodblocks. 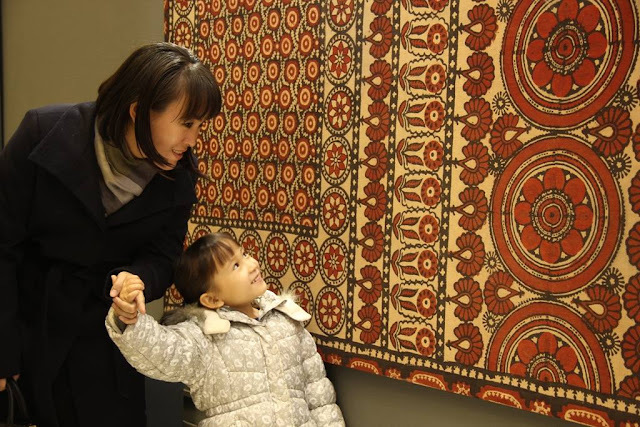 The exhibition's title reflects the intricacy, beauty and quality of Uzbek woodblock designs and their execution on the fabric. 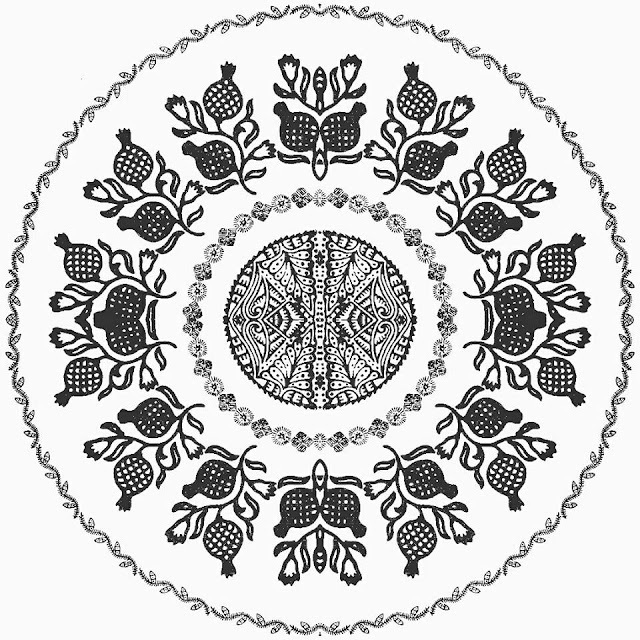 It is believed that woodblock printed cotton cloth was well-established in Uzbekistan by the 11th century. 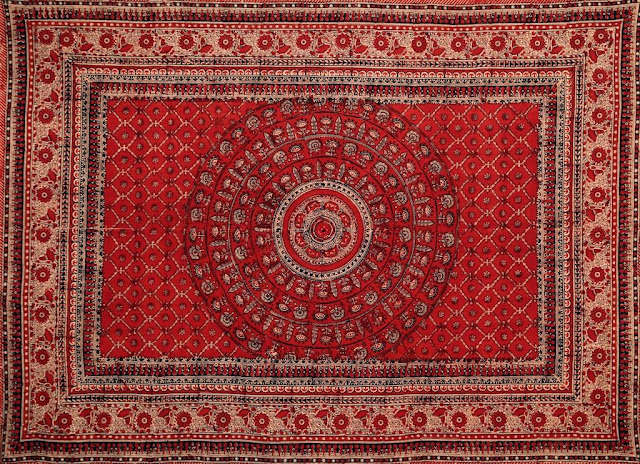 Indeed the weaving town of Chitgaron, near Bukhara, was a major centre, whose entire population was engaged in producing printed fabrics. 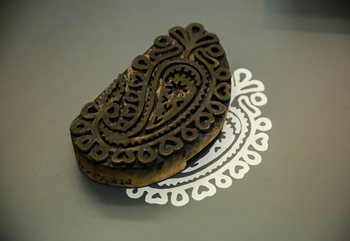 (Woodblock is known as "chitgarlik" in Uzbek). During the 19th and early 20th centuries, woodblock was widespread in the Tashkent, Khiva, Bukhara and Margilan regions. Its beauty, practicality and relative cheapness, meant it was in great demand among the population. Chitgar masters, despite the complicated and laborious processes of making printed fabrics, achieved masterly, beautiful results in this craft. Contemporary writers describe the fabrics "like paradise". 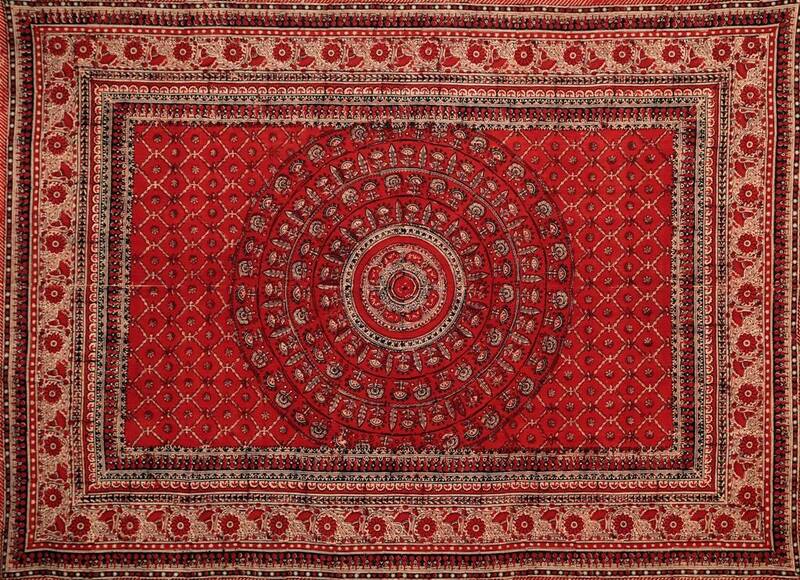 By the middle of the 20th century, factory-produced fabrics had replaced these hand-woven, block-printed fabrics. 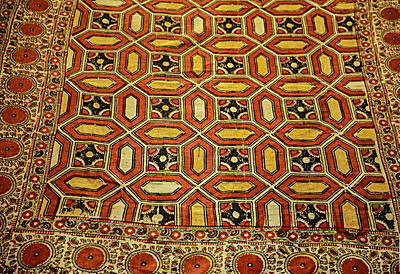 Indian woodblock fabrics, imported to Uzbekistan during the 1970s, ignited a brief revival of the technique. Uzbeks raided the storerooms of their grandparents and started producing woodblock fabric once again. However, these days, few are working in the field. In Ferghana and Bukhara two masters continue the tradition. In Tashkent, on an Uzbek Journeys tour, a visit to the studio of Yuri Pak, the last woodblock printer in Tashkent, is included. Both the State Fine Arts Museum and the Applied Museum in Tashkent display excellent woodblock pieces. Tashkent residents, well versed in their famous ikats and suzanis, were dazzled by the beauty of this little known aspect of their heritage. The organizers hope that the exhibition will inspire younger people to take up the art. 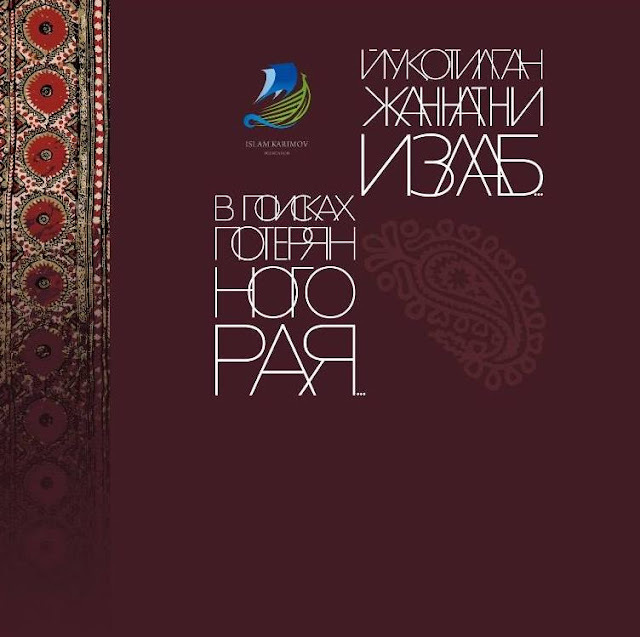 Nodir and Ismailov's earlier collaborations, Ikat - the Thread that Connects Generations and Sacrament of Magic Yarn, about suzanis, were also standout exhibitions. The city looks forward to their future projects. More images from the exhibition below. View of the woodblock exhibition "In Search of Lost Paradise"